Geetanjali Misra is the Co-Founder and Executive Director of CREA. 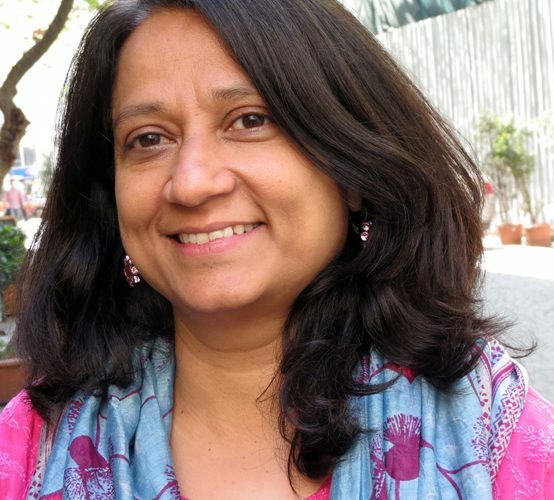 Geetanjali has worked at the activist, grant-making, and policy levels on issues of sexuality, reproductive health, gender, human rights, and violence against women. She has taught as an adjunct professor on the intersection of LGBT issues, sexual rights and public health at the Columbia University Mailman School of Public Health. Before joining CREA, she was Program Officer, Sexuality and Reproductive Health for the Ford Foundation in New Delhi and supported non-governmental organizations in India, Nepal, and Sri Lanka working on sexual and reproductive health and rights. She also co-founded SAKHI for South Asian Women in 1989, a non-profit organization in New York, committed to ending violence against women of South Asian origin. Formerly, she was Chair of the Boards of Reproductive Health Matters (UK), a global peer reviewed journal on sexual and reproductive health and rights and Mama Cash (the Netherlands). She was a Board Member of FHI 360 (USA) and also served as President of the Board of the Association for Women’s Rights in Development (AWID) where she led a strategic planning and organizational development process leading to changes in leadership roles and structure. In the past, she held several key advisory roles such as being a Member of Cordaid’s Expert Advisory Group (the Netherlands), served as a core member of the Action Plus Coalition for Rights, Education and Care in HIV/AIDS (India), was regional and Global Advisor for Global Fund for Women (USA) among others. She writes on issues of sexuality, gender, and rights, and has co-edited 'Sexuality, Gender, and Rights: Exploring Theory and Practice in South and Southeast Asia' from SAGE. She is also author of 'The Power of Movements' published by AWID. She holds Master’s degrees in International Affairs from Columbia University, US, and in Economics from Syracuse University, US.